The mouldy straw itched at his back, prying sleep from his exhausted mind. Rolling to his side he stared at the dust filled air as it flickered in the sunlight, the segmented light searing through the grime of the abandoned barn from every split plank and crevice between wooden doors. It felt strange to be resting in the darkness when it was so bright beyond, to be forced to travel through the night was a precaution, but the hiding in the hours of the living he could not adapt too. He felt too vulnerable knowing the Guides might catch them unaware, with such light to expose them and few shadows to shelter in. Looking over to Clarissa as she slept, blissfully unaware as always, her auburn hair burning in a streak of sun even through the dirt they had soiled it with. He fought the need to hide her away from them, to protect this innocence from their vendetta. She was better off never knowing color, he mused. "She worships you for showing it to her though,"
Startled he sat up to see Serena watching him, those amber eyes boring into him as though she were making a casual observation, and not intruding his thoughts. "What are you talking about?" An edge of annoyance from being caught so obviously striking his voice. Realising his embarrassment she merely shrugged and looked away, the same air of indifference around her. As if anyone could hold such faith he fumed. "She would have found the path without you, and will continue down it even when you have left." She said, standing to dust off her dress and peek through a rotted beam. "You think I'll leave her to the fate of the Guides?" he asked incredulously. "The Guides are just one obstacle - " she spoke hurriedly, turning from the wall she advanced upon him, "I can taste your doubt, I can see you cringe, know your need to abandon the futile and tend to the practical, you yearn to return to your inconspicuous life away from the struggles of hope." He sat stunned beneath her glowering form, her body suddenly bristling with passion as she exposed everything he had ever second guessed. "Yet I still hope that you will lead her through, and be the protector she needs," going to her knees she gripped his shirt, her eyes filling him with such intensity he could hardly breathe. "Fight for her," she growled, "and don't let yourself be consumed." Before he could answer the barn door fell from its hinges in a cloud of splinters, and like a dam collapsing he was stunned by the light that washed over him, drowning out the darkness. A heartbeat seemed to pass before he heard the cry, piercing his mind with fear as he searched for Clarissa through the spots flashing in his vision. Leaping to his feet he staggered forward, reaching for her hand, tightening around her touch and pulling her behind him. Everything seemed deafening as they ran in, yelling calls to surrender, threatening and imposing, their forms dark silhouettes against the blinding day where grey robes no doubt awaited. Ooh! Lovely tension. I'm seriously curious about everything that's happened previous to this moment. Super awesome! That what quite a scene! Happy Blitz Day! I agree with Christine - really well written. I'm on the Blitz Team so nice to "meet" you. Enjoy the blitz. Great story! Happy blitz day! That was tense and with great atmosphere. Great scene! I love the way the light filters through the gaps in the barn. Happy Blitz Day! Great imagery and visuals! I could picture the barn so well just from the opening paragraph. HAPPY BLITZ DAY! I can feel that old barn and see the burst of light - well done. Nice writing. Happy Blitz Day! Nice imagery. Visiting to wish you Happy Blog Blitz Day! 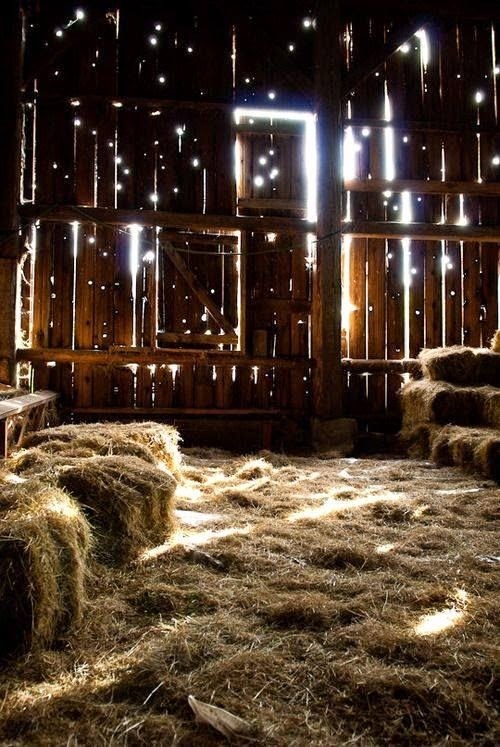 I've been in a barn like this and it is intriguing to watch the play of shadow and light and the sparkling dust motes. Nice scene! Gives a good picture of your main characters emotions and struggles. Have to agree, you nailed it! Thanks for sharing! I wanna know what he's going to do, and if Serena dies... Happy blitz day from me too! Hi-ya. Nice writing! You're right; you totally nailed it. How ya feeling? A teensy bit woozy? You should, because you are getting BLITZED today! Enjoy. Evocative writing. Thanks for sharing. Happy Blitz Day! Really enjoyed the excerpt, especially, "segmented light searing through the grime..." Lovely. Thanks for sharing. Happy Blitz Day! Happy Blitz Day. A perfect day for it too. We all got to read a sliver of your writing. Thanks for putting it out there. This is just great! I love the detailed descriptions and the intense emotions you described. Well done. Happy Blitz Day (and if you stopped by my blog last week, thank you!! :) )! Very intense scene. Happy Blitz Day. Sadly, no amount of hiding can save you...FROM THE BLITZ! What an intense piece! Happy Blitz Day! Great scene. So well described. Happy Blitz day. Very edgy, atmospheric scene. Well done! And happy blitz day. What an in-depth scene. I'm definitely curious as to why they are hiding and who that is that they are hiding from. Thanks so much for sharing! Happy Blitz Day :D Jaclyn @ JC's Book Haven. What a great scene!! Happy Blitz Day! Ooh, I like the sample. That part about tasting his doubt was such a unique, vivid detail. Interesting snippet. I like the light/darkness elements at play here. What a gripping scene!! Well done! What an intense scene, he is so conflicted. Have a great time, Happy Blitz Day. Great description! HAPPY BLITZ DAY!!! Nothing better than when a scene comes together! Happy Blitz Day! Beautiful imagery in your writing :) The tension jumps off the page. Lots of tension and atmosphere in your excerpt! Happy Blitz Day. Great piece. Wow, powerful scene. Really great writing. Happy blitz. Love your writing!! Happy Blitz Day!!!!!!!!!!! Love the auburn hair burning in the sun line- perfect. Great piece. First, I love the picture at the beginning of this piece. It fits so perfectly with the scene. Second, Yep, I would say you nailed it alright. Third, Happy Blitz Day. Enjoy! Enjoy writing and happy blitz day! Very nice atmosphere you've created in this piece - great contrast between the dusty darkness & the blinding daylight. Really interesting story line. Are they animal, human? Makes me want to read more. Happy Blitz Day. You get all the comments. You set the mood nicely in this piece, intriguing and engaging, thanks for sharing it with us and Happy Blitz Day! Happy Blitz Day! Just in time for trick or treat. But this is a treat. Enjoy! Have to laugh. I was signed in on my daughters blog as Pegasister Sims. I should watch for that. Happy Blitz Day! Hi! I'm sorry to be a day late for the Big Blog Blitz...but I'm here now! I agree with farawayeyes' above comment, especially that I love the picture at the top! Nice to meet you! Love it when writers share snips. Happy belated blog blitz! Sorry I am late, but Happy Blitz Day! I'm super late, but Happy Blitz Day!!! Powerful scene from start to finish!! Excellent!! I'm so late but Happy Blitz Day!